Since 2010, continual outbreaks of highly virulent variants of porcine epidemic diarrhea virus (PEDV) belonging to genotype GII have led to serious economic losses for the Chinese swine industry. To better understand the biological characteristics and pathogenicity of the current prevalent Chinese PEDV field strains, in this study, a highly virulent Chinese genotype GIIa PEDV strain, CH/HBXT/2018, was isolated and serially propagated using Vero cells. Sequencing and phylogenetic analysis showed that strain CH/HBXT/2018 contained novel insertion and deletion mutations in the S gene region relative to the classical strain and belonged to the genotype GIIa, similar to other recently isolated PEDV strains from China and the United States. 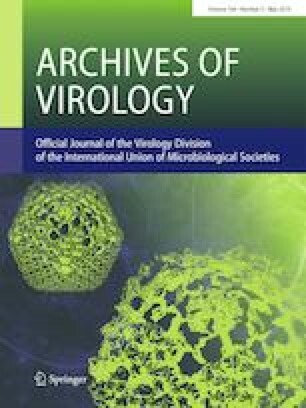 Pig infection studies indicated that the CH/HBXT/2018 strain was highly virulent in suckling piglets, and the median pig diarrhea dose (PDD50) was 8.63 log10PDD50/3 mL at 7 days postinfection (DPI). The results of the present study are important for future PEDV challenge studies and the development of new PEDV vaccines based on prevalent field strains for the prevention and control of PED in China. Liping Zhang, Xinsheng Liu and Qiaoling Zhang contributed equally to this work. This study was supported by the National Natural Science Foundation of China (Grant no. 31602095), the National Key Research and Development Program (2016YFD0501505), the China Agriculture Research System (CARS-35) and the Central Public Interest Scientific Institution Basal Research Fund (Y2016CG23). XL, YW and YZ conceived and designed the experiments. XL wrote the manuscript and analyzed the data. XL performed the sample collection. XL, LZ, QZ, PZ, YF, ZD, DZ, WL, and JF performed the experiments. All authors read and approved the final manuscript. All piglets used in the present study were humanely bred during the experiment and euthanized at the end of the experiment. Animal care and use protocols were reviewed and approved by the Institutional Animal Use and Care Committee of Lanzhou Veterinary Research Institute.